The latest Duport Business Confidence Report for Poole reveals there was a record level of net company growth in Poole last year. 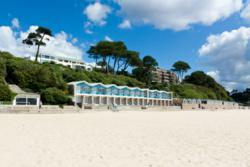 2012 saw record net company growth in Poole, according to a new report by company formation specialists, Duport.co.uk. Between January and December, the company register increased by 1045, representing 65% growth. Net company growth in Poole dropped to minus 465 in 2009, but has been rising steadily ever since, suggesting the local economy is recovering from the effects of the recession. 2012 was also a record year for company formation in Poole, with 1851 new company formations over the course of the year. This figure is a 15% rise on the previous year, which is ahead of the UK average increase of 9%. “The positive statistics in our latest report on Poole suggest that the local economy may be stabilising after difficult period. The Duport Business Confidence Report for Poole uses economic data to provide an overview of the local business landscape. More information and statistics can be found at http://www.duport.co.uk/poole.